As the nation prepares to mark the 70th anniversary of D-Day, the commemorative June 2014 issue of FlyPast features a special section dedicated to the role played by Allied and German air forces on and around June 6, 1944. RAF historian Graham Pitchfork describes the challenges facing airborne forces during Operation Overlord, while Luftwaffe expert Chris Goss assesses the effectiveness of the German reaction. 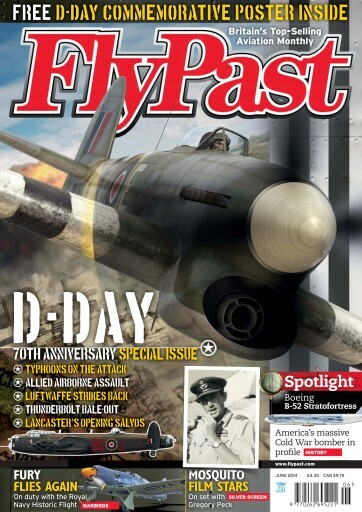 We describe incidents involving Avro Lancasters and USAAF P-47 Thunderbolts, and our cover is a dramatic artist’s impression of a Hawker Typhoon in action. 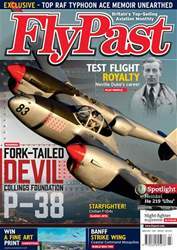 Our latest issue features an in-depth Spotlight section on the seemingly immortal Boeing B-52 Stratofortress. Featuring exclusive artwork, we compare the huge bomber to its contemporaries, and reflect on its various roles in Vietnam and during the Cuban Missile Crisis. We talk to Sid Rudland about his time working with Hollywood icon Gregory Peck on a war film featuring the de Havilland Mosquito. 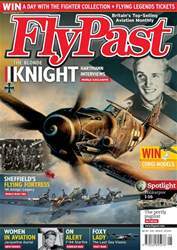 With stunning air-to-air photos, FlyPast takes a close look at the Shuttleworth Collection’s remarkable Polikarpov Po-2, a World War Two-era Soviet bomber and trainer. David Howley describes the insignia used on Spitfires in US service – with exclusive artwork. The latest from the Royal Navy Historic Flight. 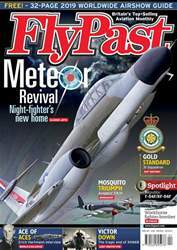 We also detail the long history of the RAF’s 203 Squadron, which is currently celebrating its centenary, and attend atmospheric photography shoots featuring the Blackburn Buccaneer and de Havilland Sea Vixen. 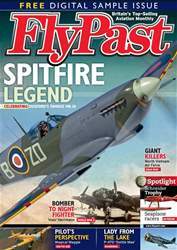 Breaking news this month includes the return to flight of a Spitfire Mk.I at Duxford, and the return of a potentially airworthy Seafire project to the UK. There are visits to major airshows in the US and Australia, and we pay tribute to the Douglas family of four-engined propliners.